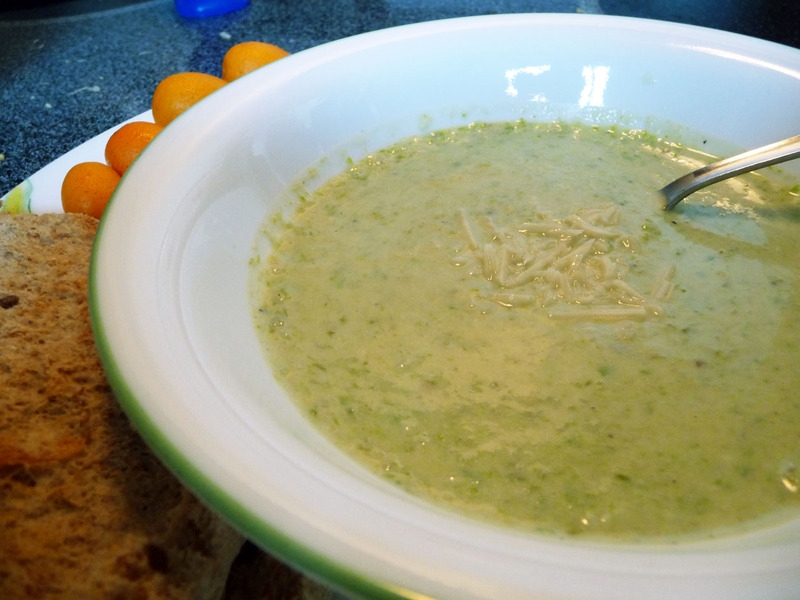 Initially this was just going to be grilled asparagus with Parmesan & black pepper cream sauce, but at some point in the process I decided that I wanted to make a cream of asparagus soup instead. Never mind that it was over 80 out when I made this, I wanted soup. Besides, I had milk in need of being used up. Soak asparagus in water for at least 30 minutes. According to the farmer I bought it from this helps unfurl the ends and tenderize. He didn’t know I was going to end up decimating them in a food processor, but it can’t hurt. 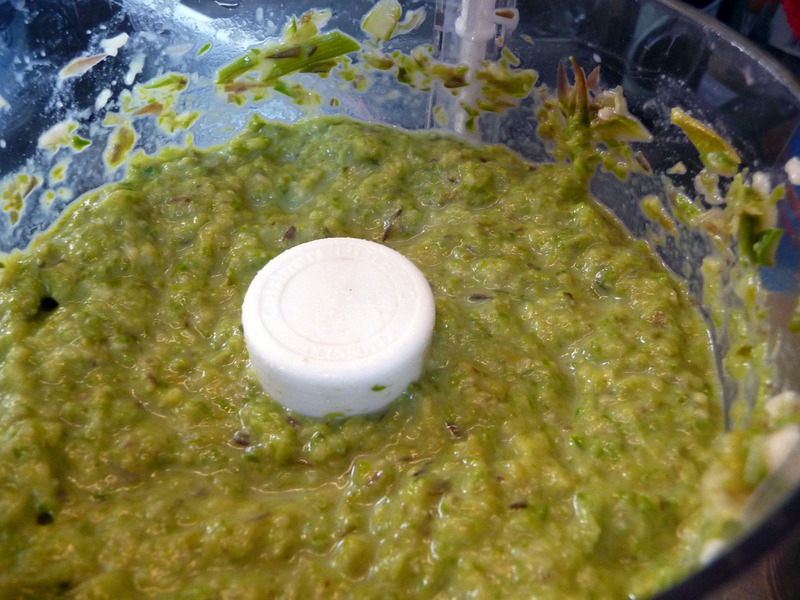 Once they’ve soaked, grill them to green tenderness. Being an apartment dweller with no outside space I used my Foreman, but if you have a real grill go for the full out grill experience. Set aside to cool while starting on the soup base. 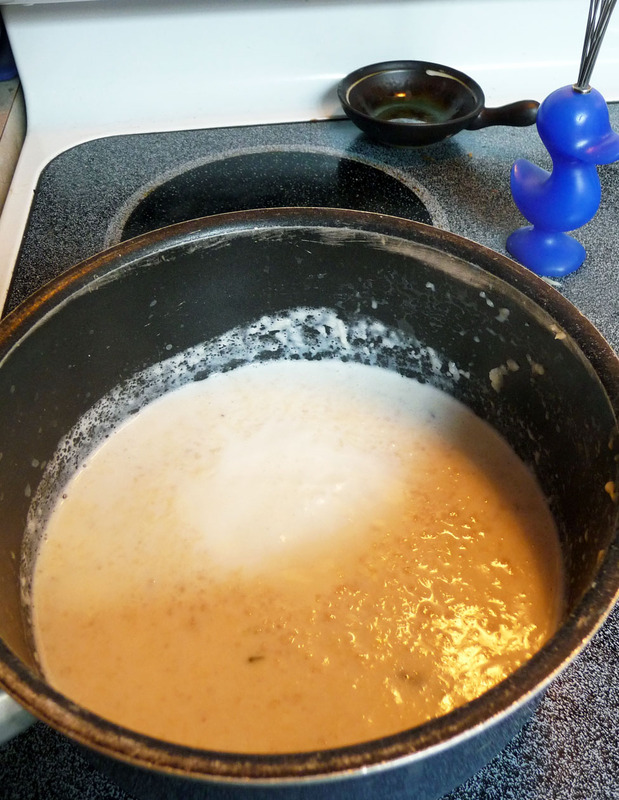 For the base start out like you would with a white sauce by melting the butter in the bottom of a saucepan. Once the butter is melted mix in the flour until it creates a paste. Add one cup of milk and mix until the paste clumps have dispersed. Add the Parmesan and a few spins of pepper from the grinder along with salt and nutmeg. Simmer. 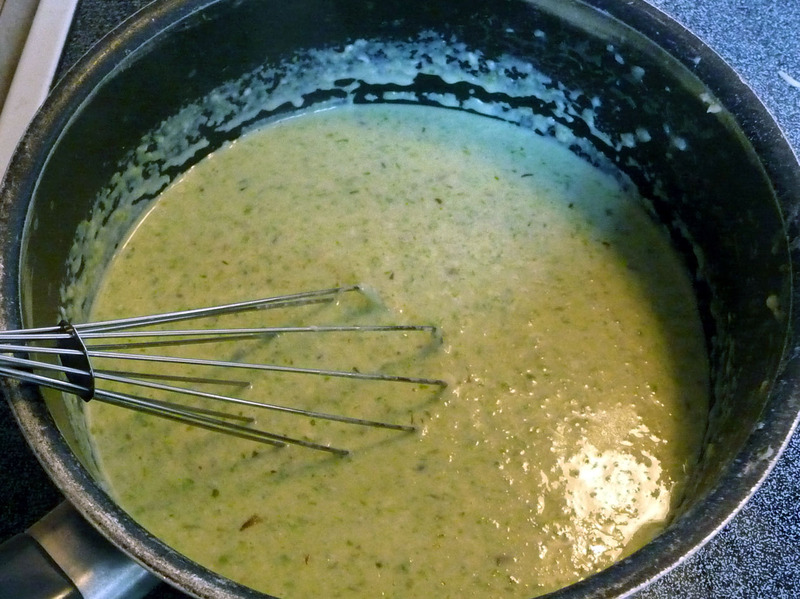 Once that is set to simmering, slice your asparagus in half and throw it in the food processor with the last cup of milk. Process to the finest you’re able. Add asparagus to your base. Mix well and simmer for at least 20 minutes. As with any soup, the longer you let it sit (or better yet refrigerate overnight) the more your flavors will co-mingle.